The evolution of fleshy fruit size, in particular in bird-dispersed plants, is believed to be influenced by the size of seed-dispersing vertebrates through gape limitation. Also, it has been demonstrated that seed size correlates positively with fruit size, especially in single- or few-seeded fruits. However, there is little evidence of current selection pressure by disperser birds on fruit and seed size within populations of a particular plant species. In the present study, this aspect was investigated in guelder rose Viburnum opulus (Caprifoliaceae) fruit consumption by birds in an area in NW Spain. Guelder rose fruits are sub-globose drupes that can exceed 11 mm in width, with a single hard seed of up to 8.5 mm in width. Most of the seeds were dispersed by the robin Erithacus rubecula (gape width < 8 mm) and a small thrush, the song thrush Turdus philomelos (gape width < 11 mm), which swallowed the fruits whole, and some were destroyed by the bullfinch Pyrrhula pyrrhula. Most of the seeds were regurgitated rather than defecated by disperser birds, probably because seed size limited gut processing. The mean size of the ingested seeds was smaller than the mean diameter of Turdus droppings, which in turn was smaller than the mean size of the seeds of the fruits available on the plants. As winter progressed, only larger fruits and seeds remained on the plants (seed and fruit size were positively correlated), and the size of ingested seeds increased. Thus, the largest fruits were consumed less by seed-dispersing birds and were exposed to seed-predators (bullfinches and climbing rodents) for longer. Selection pressure on smaller guelder rose seeds must therefore be effective in the dispersal stage in the study area. I wish to thank Pilar Zaldívar, Pedro Rey and an anonymous reviewer for their critical reading of the manuscript. 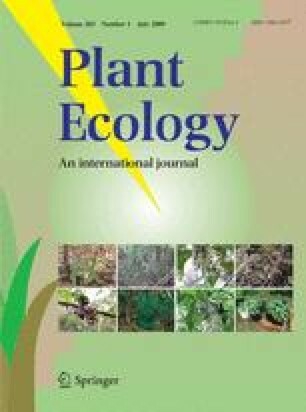 This paper is a research contribution of the Ecology and Conservation of Flora and Fauna Group at Valladolid University, Spain.